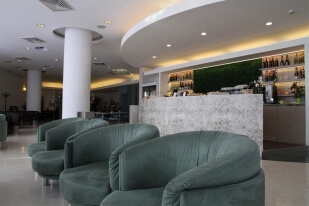 General Information: Exclusive and refined, conceived entirely around the needs of business passengers, the Marconi Business Lounge is the best place to wait, combining business and relaxation. 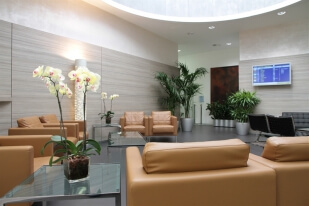 With its richly varied and extremely comfortable technological equipment, in addition to the relaxation area furnished with armchairs and sofas, the Business Lounge is equipped with an office area and a meeting area. Location: Located in the first floor of the terminal building. Monday - Sunday: 05:00h - 23:30h. Additional Information: Additional services on demand: check-in assistance, porter service, assistance and priority boarding and passport control, transfer to aircraft with dedicated transport. Ask NiceLounge staff for more information and bookings.